The little town of Henderson, MN boasts one of the best drive in car shows. Every Tuesday classic cars line the streets there. 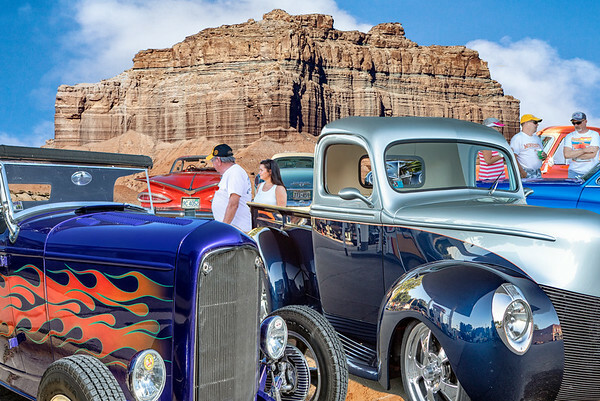 This obviously isn't Henderson but I created my own car show with images I made in Henderson and composited them into my show with a background of an image from Goblin Valley, UT. I used ten different images to create this "altered reality" shot.